The combination of aerodynamically optimised design and potent performance found in the new supercar required a fitting name; Akula was chosen. 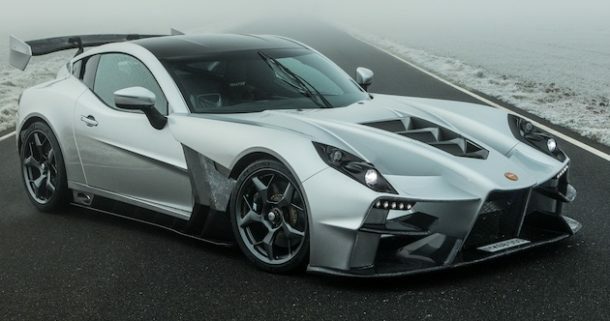 Being the Russian word for ‘shark’ as well as a term for nuclear-powered attack submarines, the predatory character of both subjects lent themselves well to Ginetta’s creation. Finished in ‘Typhoon Black’, the Akula captivated the crowd in Geneva with its menacing appearance. A true limited-edition vehicle, the Akula is priced at GBP 340,000 on the road. Production will be limited to just 20 units in 2020, with 60% of this allocation already sold before the car was publicly unveiled. Paramount to Ginetta’s supercar programme was customer inclusion, with the barriers often associated with supercar ownership firmly removed. Aside from building a personal relationship with the engineers that built their car, Akula owners will also be given a full introduction to the Ginetta brand with a customer experience day culminating in track time in the G58 racer. The G58 is the closest thing to strapping in to an endurance racer as non-professionals are likely to achieve. The G58 is powered by a 575bhp V8 power plant, weighs just 940 kilograms and showcases some of the race-derived technology utilised in the Akula to whole new levels. With a Ginetta factory driver, full pit crew and a range of Ginetta vehicles from G40 up to G58 at their disposal, this exclusive ownership experience will be an induction into the Ginetta family for Akula owners and the start of a supercar ownership experience like no other.